Nicole “Snooki” Polizzi shared the only picture she and her bff Jenni “JWoww” Farley took at her wedding on Instagram yesterday (Nov. 3), suggesting she took advantage of the open bar. “The only picture I got to take with my bride and of course I’m a drunk bridesmaid. 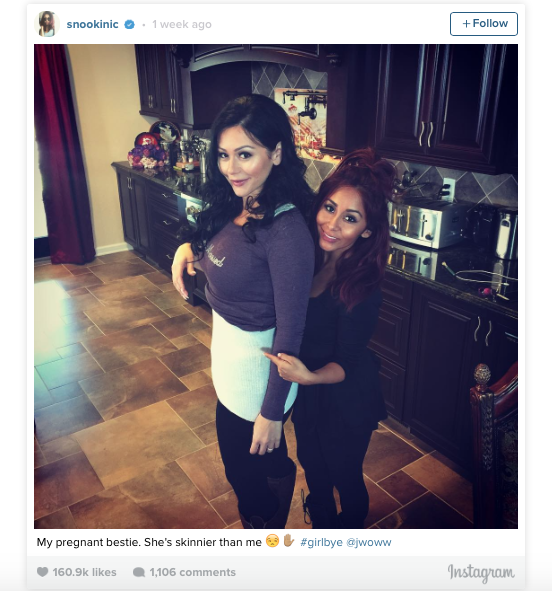 @jwoww,” Snooki captioned. Though Snooki, wasn’t the main attraction at the wedding. JWoww and her hubby Roger Matthews announced baby number two is on the way. 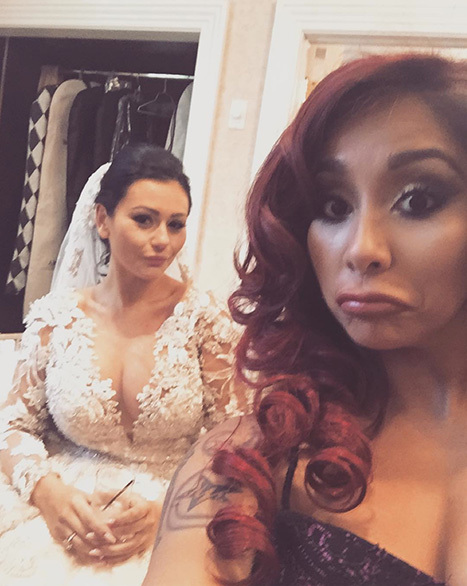 Snooki and JWoww‘s Jersey Shore co-stars also attended the wedding. Deena Cortese and Sammi “Sweetheart” Giancola were also part of the bridal party.